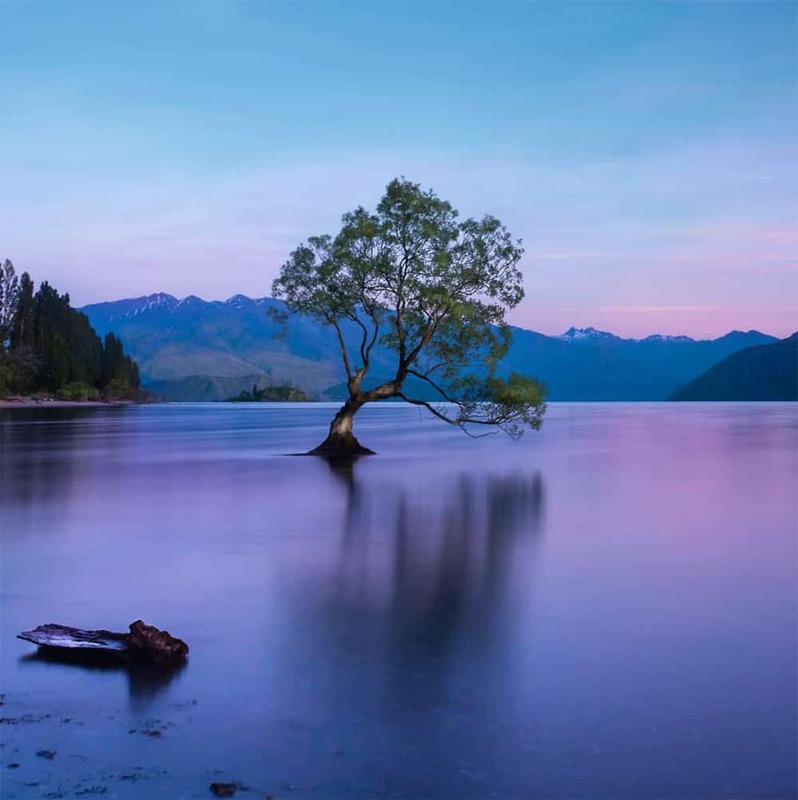 Long exposure photography is a photography technique that allows landscape photographers to obtain dreamy effects and deliver breathtaking images. 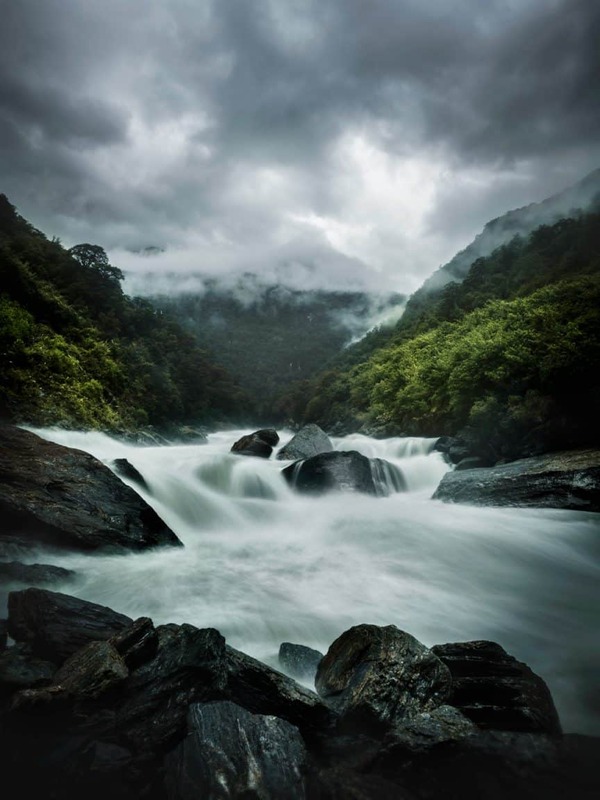 In the past few years, thanks to Instagram, long exposure photos of waterfalls or the ocean with silky smooth water, with their magic vibe have become very popular also among amateur photographers. 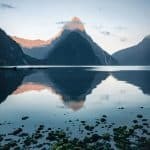 It works perfectly for outdoor and landscape photography and it’s one of the most satisfying techniques for a photography enthusiast. 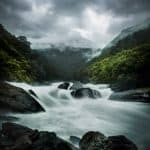 Despite the relatively easy approach, it takes practice to master the long exposure technique and if all the following steps are not applied properly it’s not uncommon that the end results will be far from expectations. 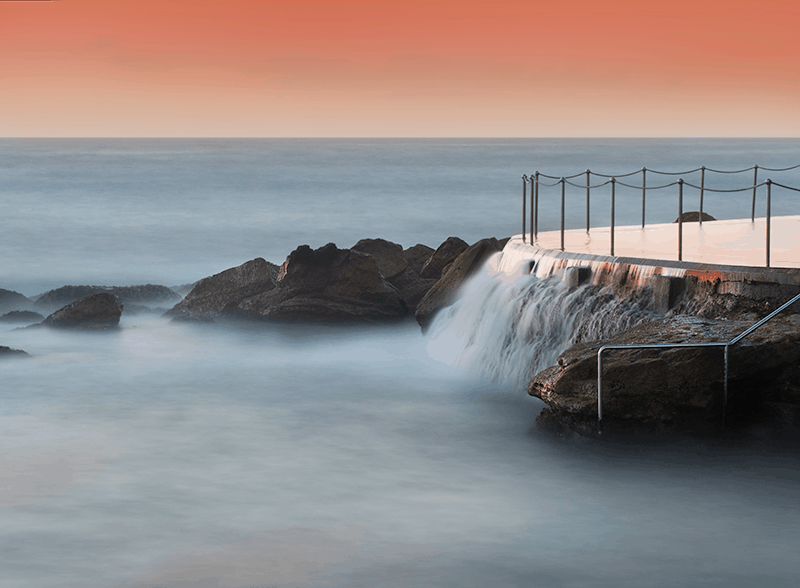 Follow these easy tips and you’ll quickly improve your long exposure pictures! It’s very important to have the right equipment. What camera, what lens and accessories you need? Let’s put it this way, a camera that can shoot automatic, preferably with a wide angle lens and a tripod should do the job. To know more about lenses read my article What is the best lens for landscape photography? 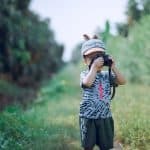 We will examine all these in the following steps, but to start, what I recommend is that you have a camera able to shoot in aperture priority or auto mode. Pretty much all the mirrorless and DSLR camera today have these options so you should be fine. You’ll need a tripod. For long exposure photography a tripod is fundamental to get keep your camera stable and avoid blurry images. Filters. We’ll discuss this in detail. 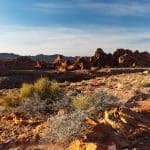 What filters do is reducing the amount of light that reaches the sensor and it indirectly helps slowing down the shutter speed. Lens. 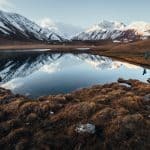 While you don’t necessarily need a bright and fast lens, what I suggest is to have a wide angle lens to fit more of your landscape in the composition. Optional, a shutter release. To avoid disrupting the stability of your camera. First of all, what is the exposure. To simplify, the exposure determines how bright or dark your photo will be. An overexposed image will be too bright and vice versa an underexposed image will have excess of shadows and lack of highlights. The exposure is affected by the Aperture of your camera, the shutter speed, the ISO value and it can be altered from the value chosen by the camera, with exposure compensation. A convenient way of visualising how the three variables, Aperture, Shutter speed and ISO interact with each other is the exposure triangle. This is really important to understand how to adjust them relative to each other. All three variables are settings of your camera that have the job of manipulating light. Your goal is to find the right balance in the exposure triangle to achieve good results. The amount how light that hit the sensor (aperture), for how long (shutter speed) and how high is the sensor sensitivity (ISO) are three fundamental settings of digital cameras. Knowing how they work will make you understand how long exposure works and pretty much all the other types of photography. You will play mainly with aperture and knowing how to adjust the other two will give you great control over your final image. The “trick” is to be in certain light condition and find the right value of aperture. Your camera will choose a shutter speed slow enough to balance the exposure and the slower the shutter speed, the more blurred objects in movement will be. A perfectly static object is not adapt for long exposure pictures. If there’s no motion in your scene there won’t be any blurred effect. One of the reasons why I love shooting long exposure photos is that I love the ocean and I love a good hike to reach a waterfall. Water is your perfect subject. Keep in mind that not everything in your composition should be in motion though, or all you will see is a cloud of nothingness. You need trees and rocks and static elements to be part of your scene so that the contrast between water in motion and static objects will accentuate the illusion of motion in the still image and make for a really appealing photograph. Car light trails are another very intriguing subject for long exposures. Before I knew how photography worked, this was one of the effects that always fascinated me. It looked magic. Light trails are obtained in almost the exact same way as you would obtain a smooth effect on a waterfall. The only difference is that you’ll need to take several photos and combine them in post production. Now that you know how long exposure works, you know what is the best subject for your shoot, it’s time to choose your location and explore it. I am a big advocate of improvisation and shooting by heart. But when you’re starting photography, planning a shoot almost always results in better photographs. Plan not only the location, but also the time of the day. The golden hour (the time shortly after sunrise and before sunset) is ideally when you want to shoot. At this time of the day the light is just better. Longer shadows, colors have more contrast and images look much more 3-dimensional. There are a few different ways you can plan your shoot. 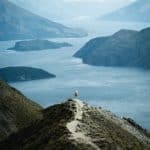 When you don’t know the location, it’s very likely that the first time you go there, it will be hard for you to understand where is the best spot to position your camera. Positioning your tripod, composing, setting your camera and filter takes time. Not knowing where to take your photo from, could result in missing the perfect light for the shot. If you can, you need to go on location the day before, possibly around the same time of the day you plan on shooting. You’ll have a similar light and you can decide where to position yourself and what are 3 or 4 possible compositions. Use Google Maps and Instagram or 500px. Looking at other people’s work is not a sin. You are not copying. Nowadays photography is a popular hobby. Camera gear have become more affordable and people are traveling and spending time in nature more than ever before. It’s really hard to be original and find a unique location never visited by any one. But this doesn’t need to stop you from pursuing your passion. 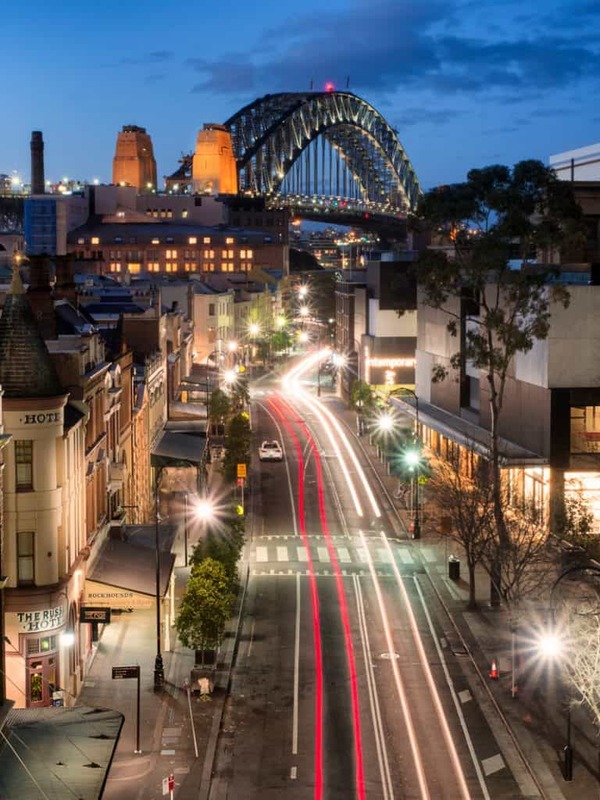 You can leverage the large diffusion of images available online and use it at your advantage to study a place and check possible angles for your long exposure shoot. Additionally, remember, in some locations you will be surprised by how many people you can find even in the early hours of the day. That’s why you always want to study plan properly and have alternatives compositions in mind. Knowing what the sky is going to do and look like is a great information to have. A cloudy sky can be a great addition to your composition, it will give it more depth and make it more dramatic. If your exposure is around or longer than 30 seconds, you will obtain a beautiful streaky sky. Knowing the position of the Sun and the direction the light is coming from is also fundamental. Don’t forget that the secret of a great photos lives behind your ability to manipulate light. As we’ve said, aim to be on location for the golden hour and know where the Sun is rising or setting. 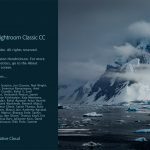 https://www.cloudfreenight.com/ Australia and New Zealand. Simple and efficient. It has cloud forecast maps of specific regions of Australia and New Zealand. Free. 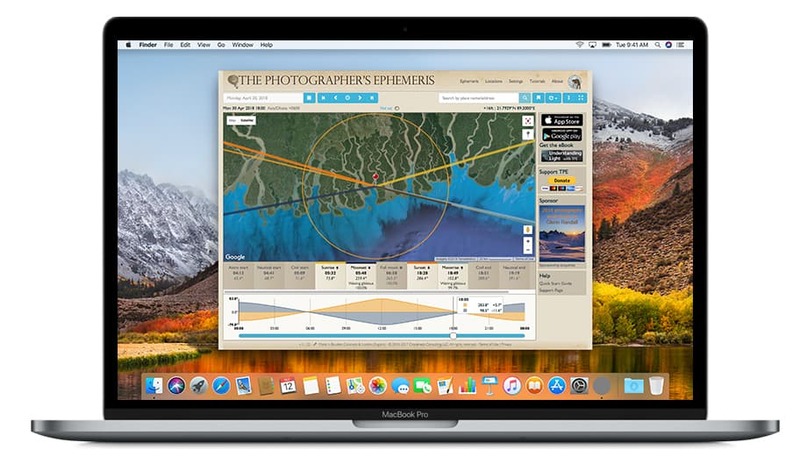 The Photographer’s Ephemeris Available also as an app, it gives you a rich set of planning tools and the direction of the light on a map. Highly recommended. Free and paid version. Photopills app Another awesome tool for planning and knowing the position of the sun and direction of light. Paid only. As we’ve seen, for long beautiful exposure photos you need a tripod since you are probably going to shoot at the early hours of the day or before sunset in low light condition. Also, your camera will be set to a very slow shutter speed in order to capture the movement in the water. You need to avoid vibrations of any kind. My advice is to look for a tripod that is small but sturdy enough to avoid shaky images. If you are close to the ocean, often you’ll find windy conditions. Don’t underestimate how wind can affect your final image if you have a less than stable tripod. It doesn’t need to be a massive one, even a travel tripod can be enough (with some limitations). Don’t spend unnecessary money if not needed. I can’t stress enough saying that you don’t need to spend hundreds of dollars on professional equipment if you’re just starting photography. I’m listing two options here, one a bit more expensive than the other to give alternatives. I use this small tripod by Manfrotto BeFree and I never had problems with it. It’s light, very portable, not expensive and it does the job perfectly. Now that you know the location, know how long exposure works and your camera is on a tripod, it’s time to create your composition. Composition is something that doesn’t depend on your camera or lens, but on your personal taste. The reason why I always say that you don’t need to spend thousands and thousands of dollars on expensive gear is that photography is made of light, great composition and how you can combine and manipulate the two to obtain a visually compelling image. You don’t have to apply all the rules all the time. They need to be used as guidelines to gain more control of the final result. One of the rules I always try to apply it the use of background and creating layers. 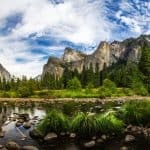 If you frame your shoot in a way that your foreground has some eye-catching elements such as sharp rocks or trees, your image will become automatically more interesting. Being able to create layers and separation between foreground, middle and background will convey more depth to your picture. Time to talk about some technicalities. I’m going to share a few of my images and their settings. Real examples will be very beneficial to you to try and replicate those effects. As a general rule try to shoot at the lowest ISO your camera gives you. Is it 100? Is it 200? Use it. Low ISO will guarantee a sharper image. Another general rule to speed up your process is to choose an aperture value of minimum f/8 to a maximum of f/16. I try not to get to a small aperture of f/22. The smaller the aperture value the more visible all the impurity on your lens and sensor will be. Another important thing to do to make your life easier is to set your camera in A mode (or Av). Aperture mode. This way you are controlling the aperture value as we’ve seen in the first point of this article and the camera will set the shutter speed. Notice how by choosing a higher aperture value (smaller f-stop number) your camera lower the shutter speed (higher time value). The camera does this to balance the final exposure. You don’t need to get the final settings now, since you’re going to use a filter and these will change. For now just see how the values change and take a couple of test photos. Properly focus your camera is crucial to deliver a great quality image. You need to lock the focus before you mount your filter. A 6 Stop or 10 Stop ND filters are too dark for the camera to be able to focus when you place them in front of the lens. To make sure your image is in focus use your Manual or Auto Focus and nail it. It’s very important that you remember to switch to manual focus before shooting with the filter mounted. IF the camera is set to Auto Focus, it will try to focus again when you press the shutter and with the filter mounted it won’t be able to focus. This will waste you time and can cost you losing a chance of capturing the perfect light. So remember to switch to Manual focus before mounting the filter. Now take a couple of test shots to make sure the image is sharp before using a filter. A Neutral Density filter (ND filter) reduces the amount of light the hits the sensor of your camera. Filter are fundamental if you want to paint with light. They regulate the intensity of light and if you want to master the long exposure technique ND filters are your best friends. Ok, now you’re almost there. Mount the filter on your lens and make sure you don’t disrupt your camera stability. You’ve studied your composition and taken a few shots before mounting the filter, you don’t want to ruin everything by moving your tripod or your camera. As soon as the filter is on, due to how dark it is, you won’t be able to see almost anything through your viewfinder or LCD. You need to trust your camera at this point. To better understand your settings when using ND filters, know that aperture is measured in f-stops and when you use a 6 Stop filter that means that it removes 6 stops of light. I usually use 6 or even 10 Stop ND filters depending on the light, weather conditions and time of the day. Obviously the more stops of light the filter removes the longer will be the exposure and you’ll have more blur in your water. I use the NISI V5 Pro kit and it’s really awesome. So easy to use and it not only comes with a Circular Polarizing Filter, but you can rotate the CPL independently from the ND filters you mount in front of it. I’m currently writing a review on this system so stay tuned. It’s time to shoot your masterpiece now. Last two things to do. Make sure you cover the viewfinder to block any light passing through during the exposure because it will affect the image. This is especially true is you use a DSLR. 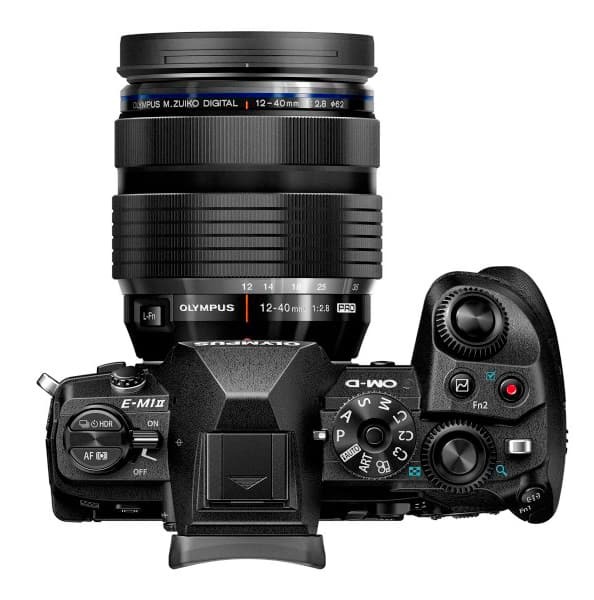 For mirrorless cameras the Electronic View Finder (EVF) is isolated from the shutter so you will be fine. Last. If possible use a shutter release (cable or remote) to reduce camera shake and have a sharper image. If you don’t have a shutter release, your camera has a self timer that can be used for this purpose. A 2 seconds self timer would be enough to avoid accidental vibration due to your finger pressing the shutter on your camera. Here you go, shoot! And well done! If you’ve gone through all the steps you’ll obtain great results. Try different angles, try different settings and get familiar with your tools. 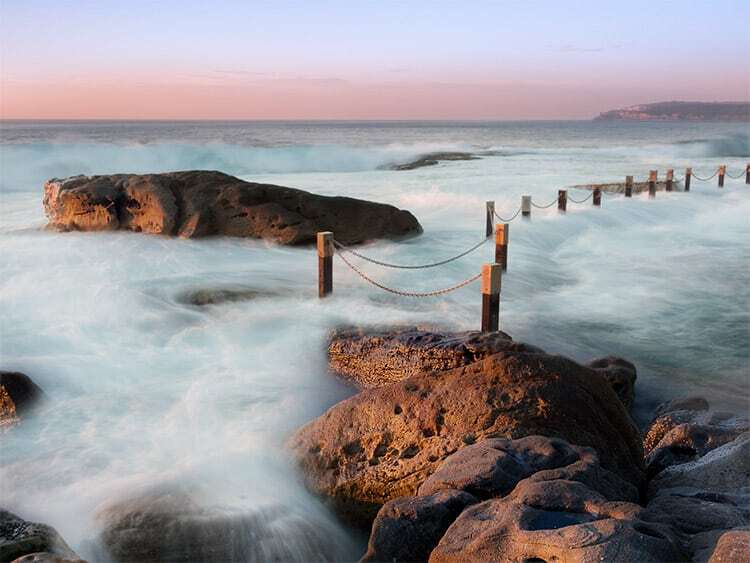 Do it again and again and you’ll become a master of long exposure photography. As always thank you for making it to the end of the article. Comment below if you have questions on how nail this technique and obtain beautiful long exposure photographs. Make sure you subscribe to my blog do get the latest updates!